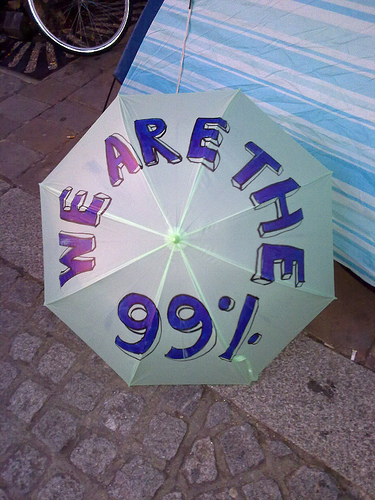 Having spent much of yesterday at London occupy the stock exchange (#occupyLSX) and having seen big events in other major cities, I feel invigorated by the number of people around the world who seem ready for a radical change. The atmosphere at #occupyLSX is peaceful, with people writing a democratically-decided list of demands. And we are not talking about small changes here – nothing short of building a more sustainable, democratic and just system; equality for “all ethnicities, backgrounds, genders, generations, sexualities dis/abilities and faiths”; and an end to the oppression of the world’s poorest, to name a few. But sometimes it can be hard to sustain enthusiasm for such large-scale changes as the obstacles can seem enormous. I think it is important to look at major victories that have been won here and elsewhere in the world to remind ourselves that anything really is possible! People power caused some major environmental victories in Latin America in September. 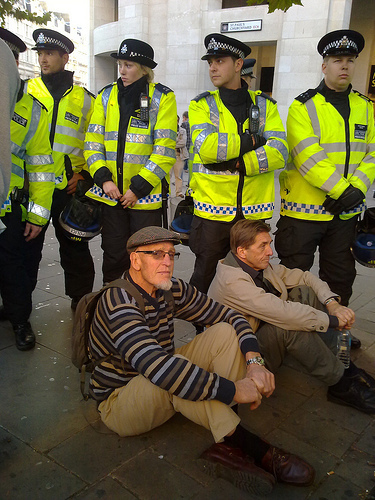 I think these stories are worth looking at because the people involved are fighting similar forces to what we are protesting about here in London – corporate greed, governmental complicity with big business, and valuing profits above people and the planet. But despite being from marginalised communities with few resources at their disposal, they have still managed to make important gains. Like the issues listed above, the battle against climate change can seem agonisingly tough – fighting against governments and some of the richest and most powerful corporations in the world is a lot to take on. There are 3 cases that caught my attention in the past few weeks that give me enormous optimism about the state of the world (for a change!). 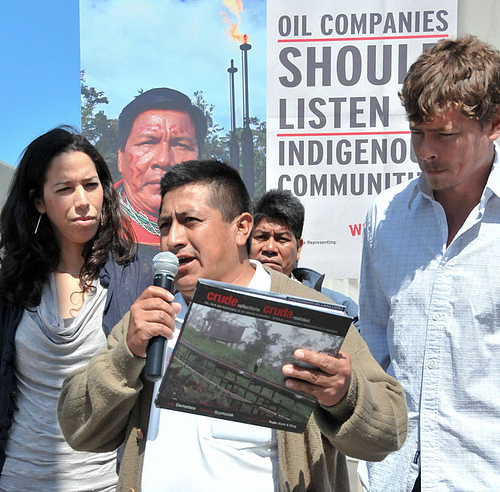 The ongoing legal saga between Chevron and tens of thousands of Ecuadoreans has dragged on for 17 long years! The largest oil-related lawsuit to date, Chevron stands accused of dumping 18 billion gallons of toxic material in the Amazon between 1972 and 1992 . Local people have suffered from terrible health conditions, including higher rates of certain kinds of cancer. In February Chevron was ordered to pay $9 billion in damages and $8 billion in punitive damages by a court in Ecuador. The US Supreme Court later blocked this ruling, but now that decision has been reversed and Chevron is once again liable to pay the money they owe to the people of Ecuador. Hooray! Chevron for their part have stalled, sued and used subterfuge to drag out this case for as long as possible. Ironically, in August Chevron won an arbitration claim against the Ecuadorean government to the tune of $96 million as apparently Ecuador’s courts “violated international law through their significant delays in ruling on certain commercial disputes”. Heading over to Brazil we find another important court case taking place, this time involving a local fisheries group and a consortium of large energy companies. The US$17 -billion Belo Monte hydro-electric dam in the Amazon rainforest has been vehemently opposed by people concerned with both the social and environmental impacts of the project, including opposition from many local indigenous people. It is estimated the dam will displace 20,000 people and severely damage the ecosystem. On 28th September the judge in the court case ruled that all work on the dam must stop if it would interfere with the natural flow of the river, disrupting fishing in the area. If the dam went ahead it could greatly change the region, causing “increased poverty, insecurity and social chaos”. While this does not mean a halt to the project, it is a significant victory for those defending the region against what is billed to be the third largest dam in the world. Finally, in Bolivia there are plans afoot to build an extensive highway through an indigenous rainforest reserve. The reserve is home to around 50,000 indigenous people and is rich in biodiversity. Work has already begun on the mega project, which is being paid for by Bolivia’s friendly neighbour Brazil. However there have been large-scale demonstrations against the initiative, including a march of 1,000 protesters that began in August. 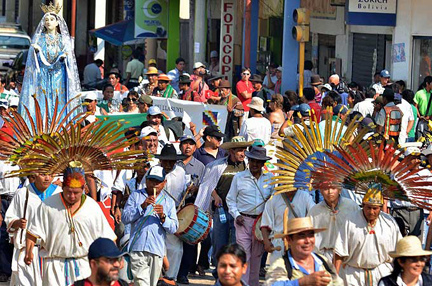 The convoy planned to cover the 500 kilometres from the reserve to reach the capital La Paz, but on the 25th September riot police used brutal force to halt the protesters – amid tear gas and violence, hundreds were arrested. Public outrage over the confrontation saw two ministers resign from their posts – the Interior Minister (who is ultimately responsible for police actions) resigned amid the scandal, and the Defence Minister resigned in protest over the handling of the incident. In response to public outrage over the crackdown, on the 26th September Bolivian President Evo Morales called a halt to construction of the highway, proposing a referendum to allow local people to decide the fate of the project. Just yesterday, on October 13th, the Bolivian senate passed a law protecting the indigenous reserve from the highway and presumably from future development schemes. Phew! It has been an eventful few weeks… I think it is important to highlight the positive outcomes of cases like these, as all too often the issues can seem insurmountable. Previous PostStill waiting for the trickle to come downNext PostFreedom of the press: whose interests are we really worried about?